Though it is often ignored, the thyroid is a very important gland that affects many functions in the body. The thyroid gland is located in the neck, and it mainly produces hormones, such as T3, T4, Free T3, and Reverse T3, that help to regulate metabolism. If the incorrect amount of these hormones is made, then the natural balance of the body is destroyed. 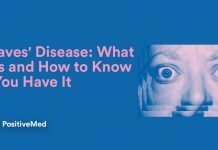 It can sometimes be tricky to diagnose a thyroid disorder because many people do not notice these problematic symptoms, but these are eight of the main signs of thyroid dysfunction. – If your thyroid produces too many hormones (hyperthyroidism), you may feel shaky, twitchy, and agitated because your metabolism is running too quickly. You can also have trouble concentrating. – If you have low levels of thyroid Dysfunction hormones (hypothyroidism), you may feel foggy, exhausted, or fatigued. – Hypothyroidism can cause unexplained weight gain, while hyperthyroidism might cause you to lose too much weight. – If you regularly feel muscle pain, joint pain, or sudden weakness for no reason, you might have a thyroid issue. 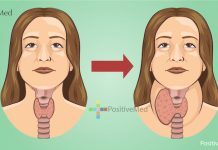 – Hypothyroidism may result in extremely heavy, lengthy menstruation, and hyperthyroidism is often accompanied by a very light flow or absent period. – Hypothyroidism might cause you to appear bloated and constipated. This bloating is often most noticeable in the face, which will look oddly puffy. – People with thyroid dysfunction often notice that their reactions to temperatures do not match other people’s. Those with hypothyroidism feel unnaturally cold, while those with hyperthyroidism get hotter than other people in the same room. – Hair loss or dry, thinning hair can be caused by hypothyroidism. 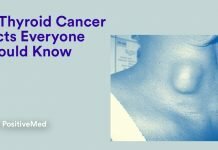 People with thyroid disorders also tend to notice that they appear pale or sallow. – The natural functioning of the thyroid is greatly affected by the adrenal glands. Too much stress can harm the adrenal glands and result in thyroid problems. Try to lower your stress with meditation or yoga. – If you are not getting enough iodine in your diet, take a supplement or increase your seaweed intake. Some types of salt may also contain iodine. – Silver dental amalgam fillings often contain mercury, which can affect your thyroid. Get your fillings replaced with a mercury-free solution if possible. – Cutting gluten and legumes from your diet can really benefit the thyroid, and it is normally recommended for people with Hashimoto’s disease, a type of thyroid disorder. – Selenium is another mineral that helps the thyroid to function properly. You can get extra selenium by eating brazil nuts, mushrooms, salmon, beef, and sunflower seeds. – BPA is a chemical found in many plastic bottles and food containers. This chemical has been shown to disrupt your hormones and endocrine system, so it can harm the thyroid. Try to use glass or stainless steel containers instead. – Many types of carbohydrates are filled with sugars and grains that cause estrogen levels to increase. High levels of this hormone can harm the thyroid, so it should be avoided. – Try to avoid being exposed to high levels of these chemicals, because they prevent the body from absorbing the iodine needed to keep the thyroid working well. Bromine is often found in vegetable oil and pasta, and fluoride is in a lot of toothpaste. If you notice that you have many of these signs and symptoms, you should talk to your doctor about testing your thyroid dysfunction. Though hyperthyroidism and hypothyroidism can be problematic, it is often simple to treat with medication or alternative methods. Once you realize that your thyroid is not functioning properly, you can treat it and get back to enjoying your life.